By Metropolitan France lies at the crossroads of Western Europe. Thanks to its long and rich history of welcoming migrants, it’s one of the most cosmopolitan European nations. Across that continent, it’s also where the largest Jewish and Muslim population reside. So when you watch a French film or TV series, you’d expect to see that diversity on screen, right? Wrong. Despite some high-profile minority ethnic figures, French society’s ethnic diversity still struggles to be widely represented across contemporary French visual culture. How can we explain this? We need to look at the chief political philosophy that underpins French society–French republican universalism–to understand why representing ethnic diversity proves so problematic. In many ways, the French Constitution’s first article couldn’t be clearer. It states that France is an “indivisible, secular, democratic and social republic. It ensures the equality of all citizens before the law, without distinction of origin, race or religion.” The French Republic’s founding principle of universalism therefore guarantees egalitarianism by not differentiating between citizens. While a laudable ideal for many, history has shown it to be more an aspiration than reality. Not least because in a society where whiteness is still the dominant norm, it follows that some citizens are seen as more “universal” than others. And when to distinguish according to ethnicity is seen as discrimination rather than affirmation, state-sanctioned color blindness risks becoming a real blind spot. 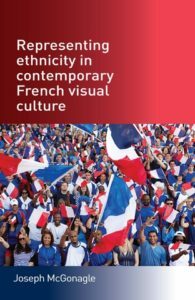 Such perceptions have concrete, material consequences–and how contemporary French visual culture represents ethnic diversity is a compelling example. Take television, for instance. Given the importance of state regulation across the French broadcasting sector, and prominence of public channels, it should provide the perfect canvas to paint a representative picture of the Republic. But in practice, due to universalist ideology, institutional inertia characterizes much programming. Annual diversity statistics stubbornly show a dearth of roles for minority ethnic groups on screen, with frequent pigeonholing of talent at best–and stereotyping at worst. The chances of programs exploring the contours of intersectionality that actually shape French daily life remain slim. You might think that French cinema offers greater possibilities to explore such experience, especially as France enjoys the largest film industry in Europe. Yet here too, curiously, ethnic diversity can seem conspicuous by its absence. Remarks by Houda Benyamina, the French director of Moroccan heritage who won the Caméra d’or for her début feature-length film Divines (2016) at last year’s Cannes Film Festival, bear this out. Declaring simply that “cinema is white, bourgeois and racist. That’s clear”, her comments provide a timely reminder of how unusual her success is within French cinema–where naming any women filmmakers of minority ethnic heritage would stump most moviegoers–and also of the institutional impediments that make it so hard for voices like hers to be heard. Acknowledging the importance of ethnicity within France is clearly complex and difficult. While French republican ideology and government policies can neither determine all visual practice nor entirely regulate discourses configuring ethnicity, creative sectors and cultural industries aren’t isolated from the political realm. Moreover, due to the overwhelming support for universalism among French society, media and politicians, you underestimate its power at your peril. As French society further diversifies in the years ahead, and its profound intersectionality increases accordingly, a defining challenge for practitioners across French visual culture will be this: how do you expand the parameters of representation within a country where the prevailing political ideology still prefers to elide ethnicity–rather than recognize it? Joseph McGonagle is Senior Lecturer in Cultural Studies in the French-speaking World at The University of Manchester. 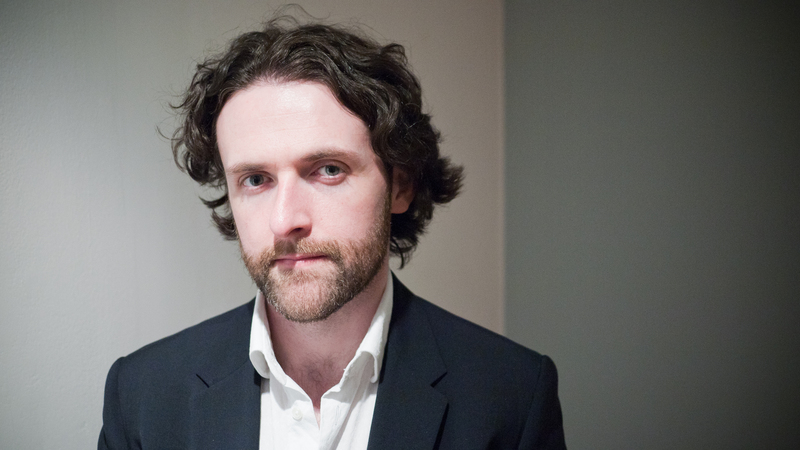 He is author of Representing Ethnicity in Contemporary French Visual Culture, and the co-author, with Edward Welch, of Contesting Views: The Visual Economy of France and Algeria. Category: Film & Media, French Film	0 Comments.